Today the Newton's Nook Design Team is hosting a blog hop to celebrate! You can visit all the Design Team Member's blogs and leave comments for a chance to win! 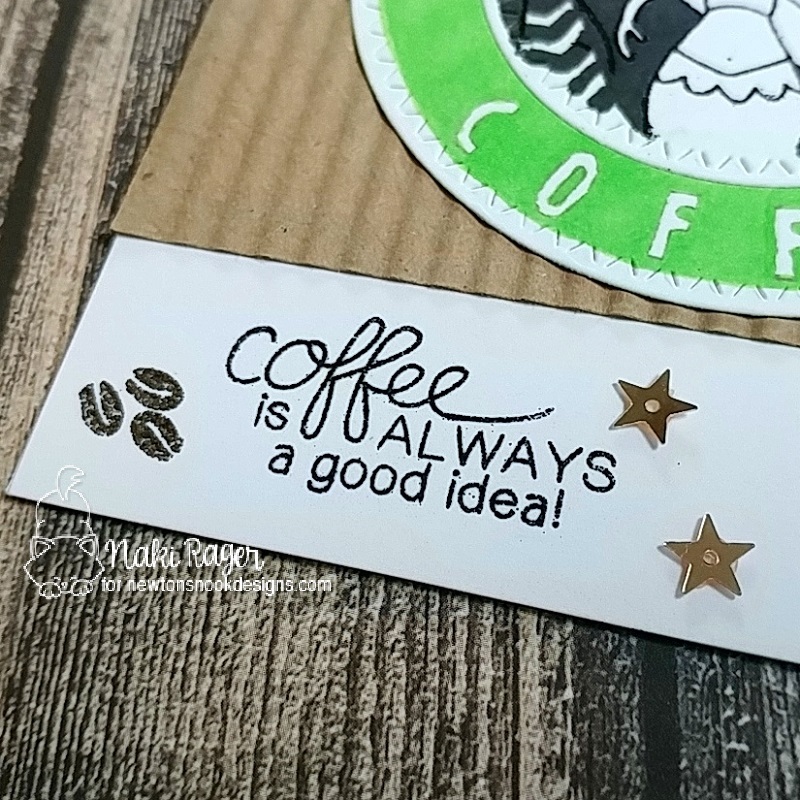 You can also visit the Coffee Loving Cardmakers blog today for another big blog hop and a chance to win more prizes! 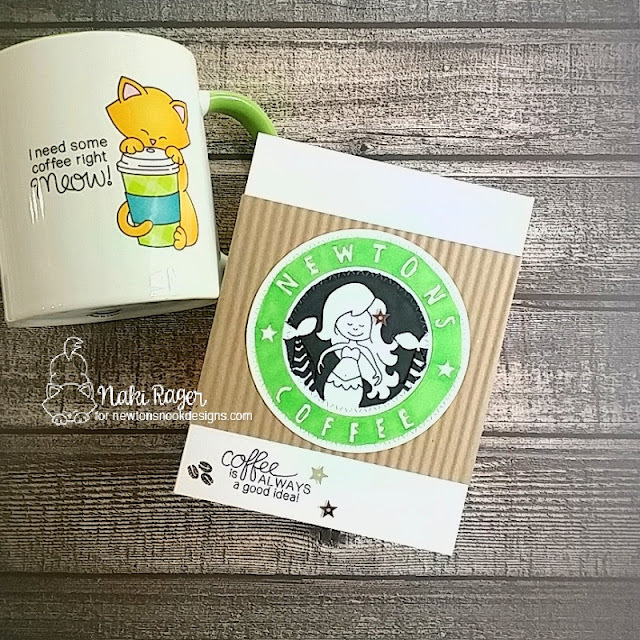 Did you know that Newton even has his own coffee company!? Usually, Newton would be in the spotlight but he has business to run and has to compete against big, famous coffee companies. So he hired this two-tailed mermaid (or siren, some say...), who looks a lot like the one from the Narly Mermaids Stamp Set from NND to make his company logo! The beans were heat embossed with dark brown EP, and the sentiment was heat embossed with black EP. 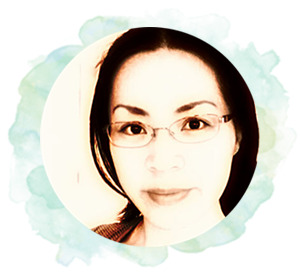 Here's how to win: Comment on the NND blog and Design Team blogs (see list below)! The winner will be chosen at random from the collective reveal posts. Make sure to check out each of their blogs and comment for your chance to win. You will not know which blog has been chosen so the more you comment on the better your chances are of winning! You have until Sunday, September 30th at 9pm EST to comment. Winners will be announced on an NND blog post on Tuesday, October 2nd so please check back to see if you've won! This is so super creative! I love your take on the new 'Starbucks' logo :) !! What a clever idea! I love your card! Love that you branded the coffee! So cute! So fun, so witty, so well done! Love this card! I would definitely buy Newton’s coffee! That mug is so cute! and your coffee cup is so cute! Great card - gotta love that Newton has his own coffee company!!! Like how you made the logo. Like the corrugated paper look. And that mug is awesome. very cute, fun card. I love the little coffee beans. Thanks for sharing. I am really digging your new NEWTON's logo! What a great play on words or symbols! Either way you phrase it or look at it, it is a superb card and so creative! Excellent idea!!!! Your lovely project made me grin from ear to ear when I saw it. The corrugated paper adds great texture and the focal symbol is really creative. Fun card! Naki, as always your card is awesome and so creative! Love your card and that mug! This is brilliant! I love your take on the coffee theme, and it looks amazing too! Just love this card and very creative. Thanks for sharing. Very creative and cute card! I just love the corrugated card stock in the center of the card to resemble the cup sleeve with the mermaid image in the green and white colored circle in the center! Very clever! Any cat who loves coffee is a friend of mine. WOW, you are so creative. Thanks for the fabulous inspiration. Newton really is the best cat I know. LOL! So creative. Cute card, and what an entertaining read!! So cute and I love the mug! May have to make one myself! Ha ha ha! What a cute idea. Love that mug. Fantastic and creative.. not to mention beautiful! Love it! Wow! Simply gorgeous!!! Love the cup!!! Really funny and beautiful card ! Thats very funny and clever, Love it! Starbucks should so do a Newton range of cups. Loved the 2016 card too. 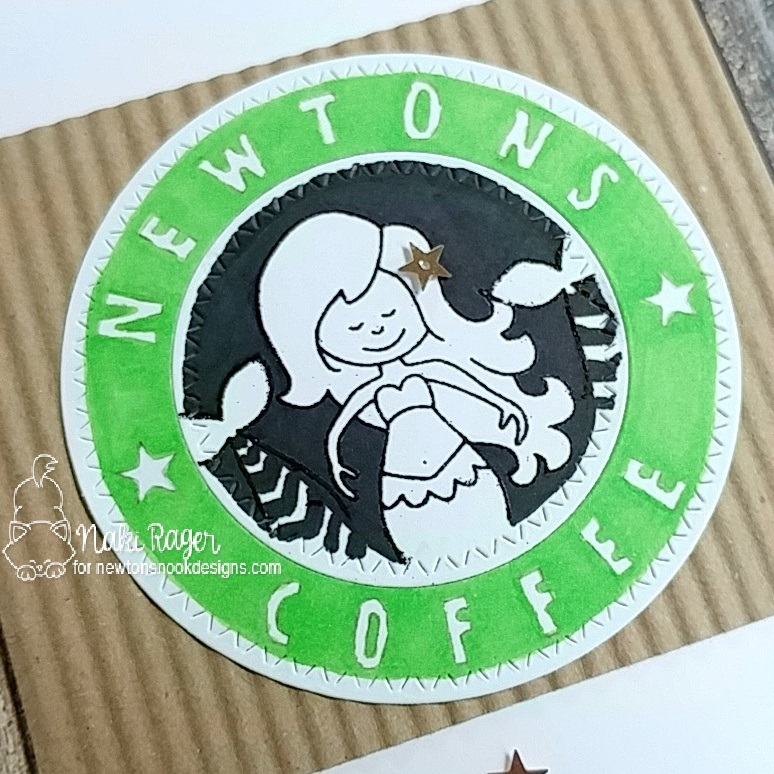 An awesome card with the mermaid as logo for the Newton's blend Coffee.. I liked the other card with the real beans tooooo. Love the card and love that Newton has coffee!! Adorable :) Thanks for the inspiration! Wow! Amazing! You nailed it too! What a fun hop! O M Garsh so in love with little Newton kitty, super creations! So clever! It makes me smile every time! I love this idea! Cute card. Thanks for sharing with us.